Wow! This one is priced to sell. Great footage for the $$$. Unique, open floor plan with tons of light and vaulted ceilings. Great room with box beams, fireplace and built-ins. It opens to kitchen and breakfast area. 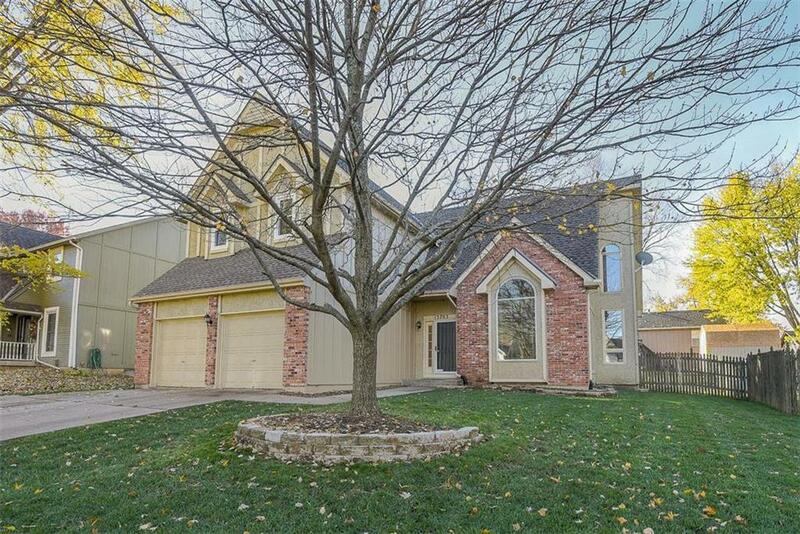 Formal living/office, formal dining room, half bath and laundry room round out the main level. Upstairs you will find a huge master bedroom with fireplace. Master bath features double vanity, walk-in closet and separate shower/tub. Good sized secondary bedrooms and a spacious hall bath. Directions: Take I-35 to Santa Fe. Santa Fe east to Black Bob. Go south on Black Bob to 143rd Street. Go west on 143rd to Brougham. Go south on Brougham to 145th Ter and go east to house.